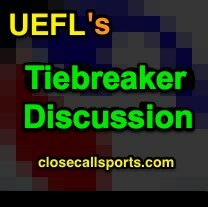 Welcome to the UEFL's discussion and live blog for the 2018 NL Tiebreaker Games. HP: Bill Welke, 1B: Brian Gorman, 2B: Jerry Meals, 3B: Marvin Hudson, LF: David Rackley, RF: Quinn Wolcott. Home plate umpire performance is listed following the completion of each contest according to pitch f/x and UEFL Rules 6-2-b-a (horizontal bound, "Kulpa Rule") and 6-2-b-b (vertical strike zone, "Miller Rule"). Callable pitches (which excludes all swinging strikes, fair and foul balls, HBPs, and pitchouts) are organized by type: "ball" or "called strike." For instance, if a line score reads "24/25 Strikes," that signifies that of 25 total pitches ruled "strike" 24 were officiated correctly, while one pitch called "strike" was located outside of the strike zone. - 10/1 MIL@CHC Gm 1: Fieldin Culbreth: pfx. 94/96 Balls + 41/43 Strikes = 135/139 = 97.1%. +0 NU. - 10/1 COL@LAD Gm 1: Bill Welke: px. 91/91 Balls + 35/38 Strikes = 126/129 = 97.7%. +1 LA.